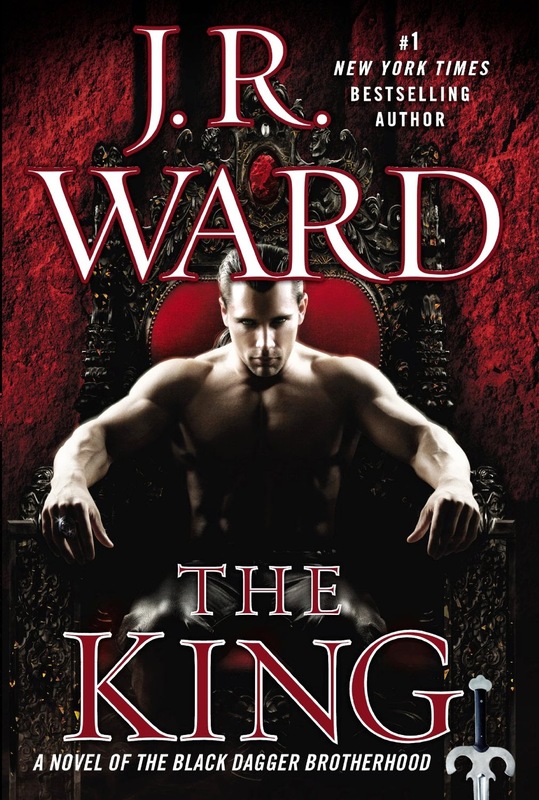 The King, J.R. Ward’s newest addition to her Black Dagger Brotherhood series does not disappoint! It is in no way a conclusion to the series. Rather it serves as a jumping off point for new story lines while serving a full plate of political intrigue, steamy relationships and the back story on a number of characters. The King is a misleading title though, as this is the story not of one king but many. It is the love stories of the past king, the present king, the underworld drug king pin, the wannabe king and the one seeking to avoid being a king. The King explores Wrath and Anha’s love story and the events that shaped their monarchy and which centuries after their deaths still affects the political climate of the vampire race and their son, Wrath’s rule. It was fascinating learning that what was supposed to be an arranged mating turned into a love match and how their love of each other and their son is unending and how they acted upon it changed the course of history. It also tantalizes with a romance brewing between Sola and the drug kingpin, Assail. Assail, in his need for Sola, steps out of his self-centered world of drugs, money and power into caring for another. Sola, proud and strong, is learning that everything is not always as it seems. Xcor, the wannabe king, may finally have his dreams coming true to unexpectedly find out they may not be all that he thought. His interest in the Chosen, Layla, has not diminished, conversely it has only increased. He will accept the bargain she offers him, which changes their paths and sets him up for a major confrontation from an unexpected front. The King also begins to provide the back story on the Shadow brothers, iAm and Trez. Go figure, but Trez is supposed to marry into Shadow royalty. He, while at his lowest, meets a Chosen, Selena, who makes him want to change. Both Selena and he have secrets they are running from that will get in their way, but one can only wait with bated breath for their story from J.R. Ward. The King, as promised is the continuation of Wrath and Beth’s love story and the future of the Vampire race. Wrath and Beth face down their own marital issues and just when they come to an accord the glymera causes problems. The glymera and Xcor think they have won the battle for the crown when Beth finds the answer to their problem when cutting up carrots. Putting down the knife, she picked up the two halves…and held them together, finding the puzzle fit that made them seem as if they were one. Then she deliberately separated them. Reunited them. Separated them. In both incarnations…the halves were still carrot.. It was the tie that bound, even across the divides of death and time. This was a wonderful story that left me waiting to learn more about each of the characters and what their respective futures hold in store. Are you reading the Black Dagger Brotherhood series? Do you enjoy a long-running series? Tell us some of your favorite series of books. I love series the longer the better. I have heard many good things about this series, but never started it. I have a few books from the early part of the series, but not the time to get into them. If done well, a long term series can be very enjoyable. You get to visit with old friends for a long time.